I did that perfect car survey thing. 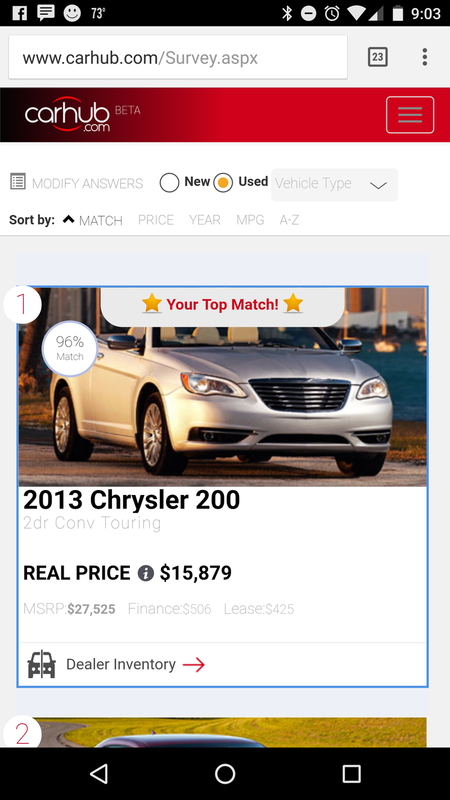 First result, with a 96% match... A Sebring Convertible. Followed by..
Two V6 muscle cars. Where do I hand in my Oppo card?